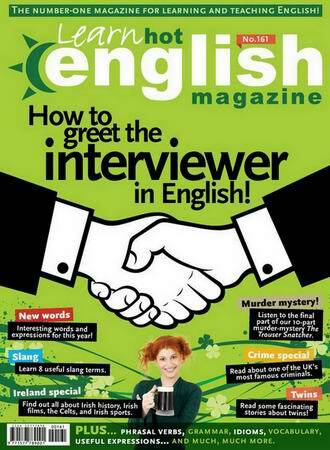 Hot English Magazine №161 (October 2015) + Audio » Информационно-развлекательный портал. Are you learning English? Or are you an English teacher? Either way... if you're looking for a fun and interesting English magazine for learning or teaching English then you've come to the right place. Hot English magazine is a leading English resource. Its fun and colourful approach to teaching real English as it's spoken by native speakers is popular around the world. Loved by both students and teachers, there's something for everyone and all levels in Hot English magazine.